The thrill of riding behind own wheels is something out of ordinary and people love riding their automobiles. The world of the automobile industry has lots of high-tech and efficient cars to offer for the interested. People have high craze to buy these modern cars but when it comes to servicing, maintenance and repair, they sometimes make mistakes. It is important to trust a good auto repair shop to handle our favorite vehicle. We travel the daily world in our cars and taking a good care of our automobile’s condition is must to maintain its performance level. Also, people are interested in upgrading and customizing the car’s features to increase its performance suiting their needs. Servicing, Maintenance, Repair or customization and let the need be any among the above, we need to drive our car into the auto repair shop to get it done. Generally, we have a doubt about what all can a good auto repair shop can offer and this article can show you the overview of the various services provided by an auto repair shop. Wheels make the cars walk. Foremost all the wheel based systems are inspected and checked. In that list, brakes are the vital part ensuring the safety of the car and the rider. A thorough check on the proper functioning of brakes and braking system is carried out and the team ensures to change any repaired or worn out component in the braking system. The tires are checked for its proper condition. Too much of worn out tires are suggested for replacements. The air pressure is set to the optimum value prescribed by the manufacturer. The burning fuel for the automobile is produced in the engines and they are checked for proper combustion rates and if we suggest any change in the performance, the fuel proportions are tuned to obtain the required performance level. The engine oil is checked and changed if it had lost its lubricating property. The exhaust system gets checked for any leaks as it directly affects the overall efficiency of the vehicle. The exhaust manifolds are inspected thoroughly as a cracked manifold could turn dangerous. Few basic emission parameters are also inspected and recorded. 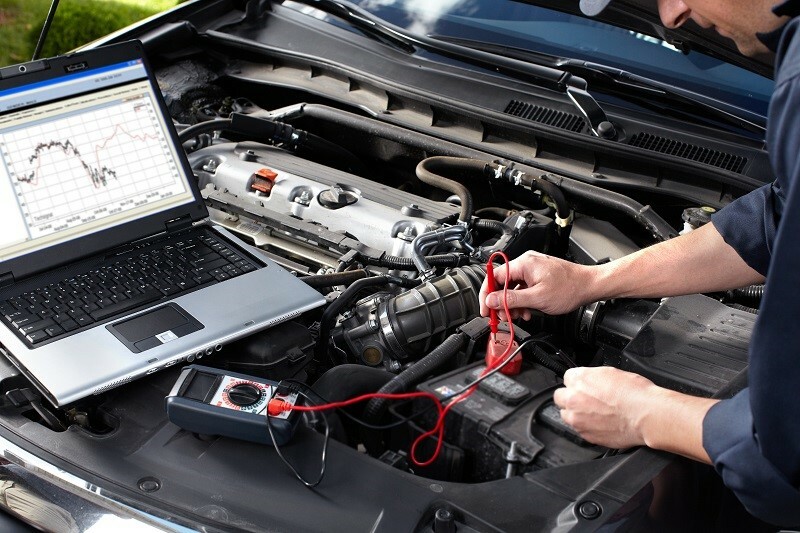 The auto repair shop team makes a report for every car which is brought in for service and records the observations which can be referred by the owner or the service personnel in future. Suspension and steering systems provide the optimum ride comfort and handling performance of the vehicle. The suspension parts are checked for its functions and the steering systems are aligned properly. The transmission system including the clutch and gear systems of the vehicle is also serviced to good handling condition. The service team also makes sure to check the heating and air conditioning units of the car to effective functioning. Auto repair shops can be categorized in some cases according to the services offered. Some repair shop also provides body repair works which include paintwork repairs to scratches, dents and scuffs. The specialty auto repair shop is the ones which are specializing in certain parts like brakes, mufflers, automotive glass repairs, etc. There are also online automobile repair shops which provide doorstep service assistance.